More confidence, in wet and dry conditions, even after 3000 miles a MICHELIN Road 5 tyre stops as short as a brand new MICHELIN Pilot Road 4 tyre thanks to the evolutionary MICHELIN XST Evo sipes. 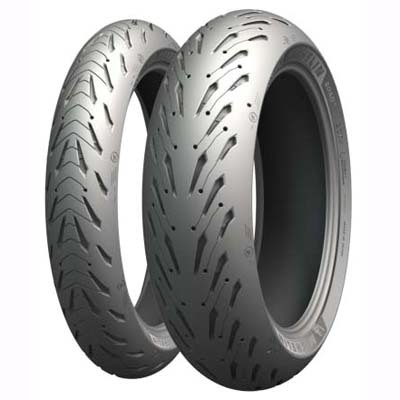 With its dry grip, handling and best stability versus its main competitors, thanks to MICHELIN’s patented ACT+ casing technology, it offers even more riding pleasure. See our full Michelin range here and fitting charges here.